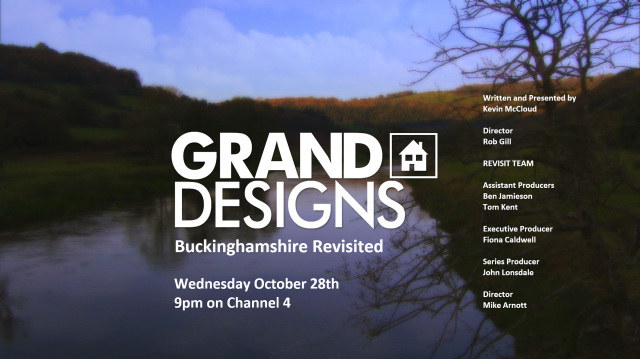 One year on from the original show, Kevin McCloud returns tonight to discover what has happened with one of the most ambitious Grand Designs ever – the UK’s first Amphibious House. The fully completed building is revealed to the cameras and put through its paces to find out if it floats. The owners of this remarkable residence show how they have settled into their stunning and distinctive home. The couple’s dream of living in a flood-prone location with strict planning constraints was made possible by the construction the UK’s first amphibious house – a building that rests on the ground on fixed foundations but, whenever a flood occurs, rises up in its dock and floats there buoyed by the water. You can catch the story of this pioneering building, see how it has progressed and watch new landmark events since its completion tonight at 9pm on C4.